People working in IT companies often face a popular request « Yeah, you know, I want to have something like Ebay, but with all Facebook features, and it should be more like Google». Well, okay…. But then is time to explain people that computer science is complex, and the millions of dollars spent for research and development didn’t went for the drain. Unfortunately, not all the customers have an idea how much time is needed to develop an amazing website. People just look at the published thought, videos and photos online; it seems to be so easy for them. However, they are wrong. As we can see, technical development and complexities are only continuing to grow. And the developer’s work is not becoming easier whiting times, it is necessary to be aware about all the trends in the IT area, because competitors are always awake. So, why among all these rivalry, the website development is still expensive? The reason is everyone wants to be different., you will never show up at the party, dressed in the same with everybody else. That is the point of all businesses, to differentiate. You need to impress, you need to dominate others, and then your business will work out. Concluding, you see that the reason of high prices for website is not somebody’s greediness or desire to make more money, it is simply the time. Developing a great website needs efforts, ideas and a good developer. 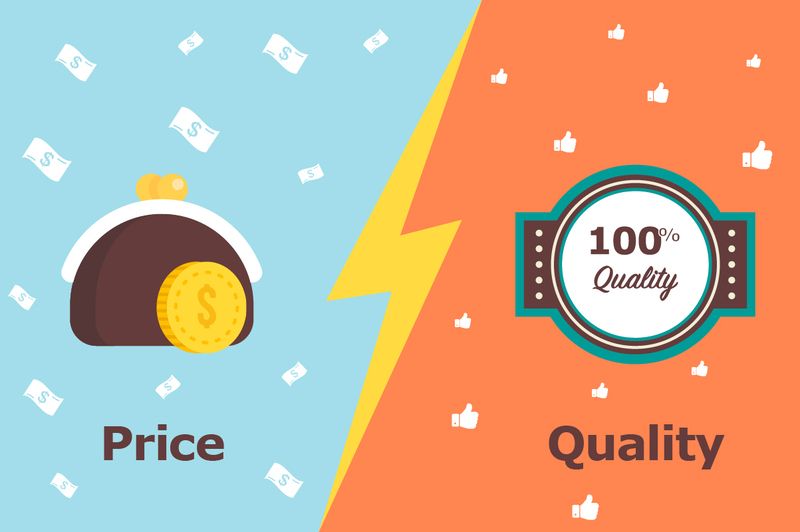 That is why choosing between cheap and more expensive website, you should remember – greedy-guts pays double price.